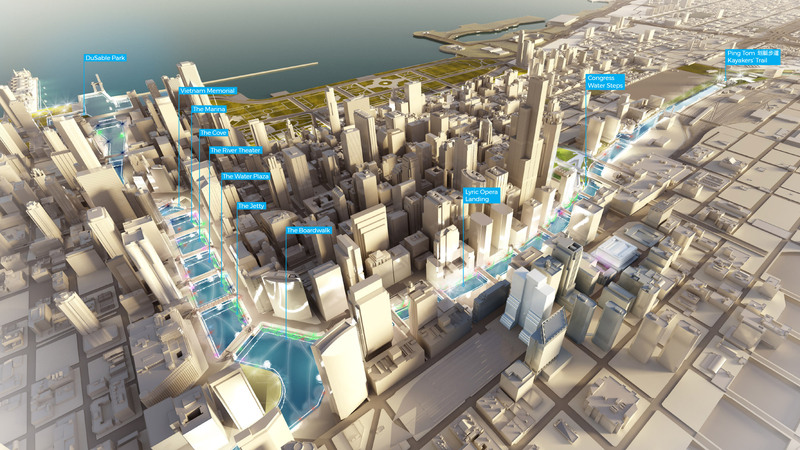 Chicago is moving forward again, defining its river as its civic heart and ecological soul. 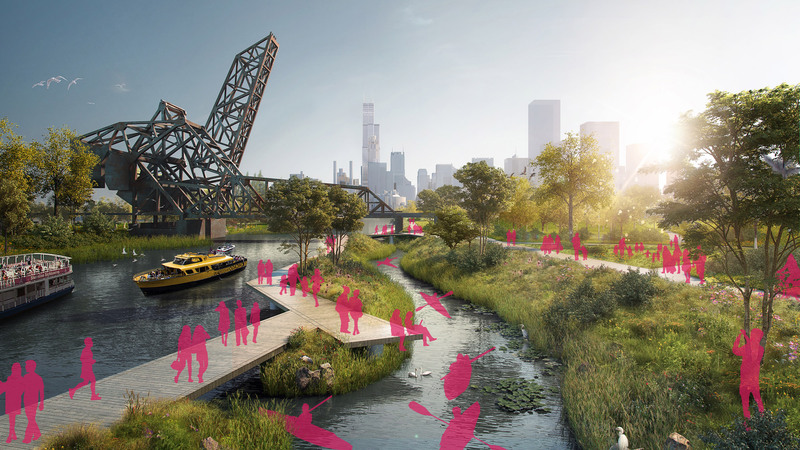 Reimagining its unparalleled park system to include a Chicago River that unites Lake and City, downtown and the neighborhoods. That celebrates one Chicago and the vast spectrum of its social diversity. The South Branch rooms bring to the Riverwalk a collection of new experiences: a dramatic performance space, river-life-reviving water steps, and the wetlands from which our global city grew. Extending from DuSable Park to Ping Tom Park, an ever-changing flow through our architectural heritage and our exuberant lifestyle to wildlife habitat in the heart of the city: Chicago’s Great New Park. Skidmore, Owings & Merrill LLP (SOM) is a multidisciplinary firm with a commitment to design and a concern for global planetary health. Our City Design Practice is dedicated to the regeneration of cities–developing urban environments with the deep belief that design can help direct larger ecological restoration. For eight decades, the Chicago office has been committed to working with the community for the betterment of the city. 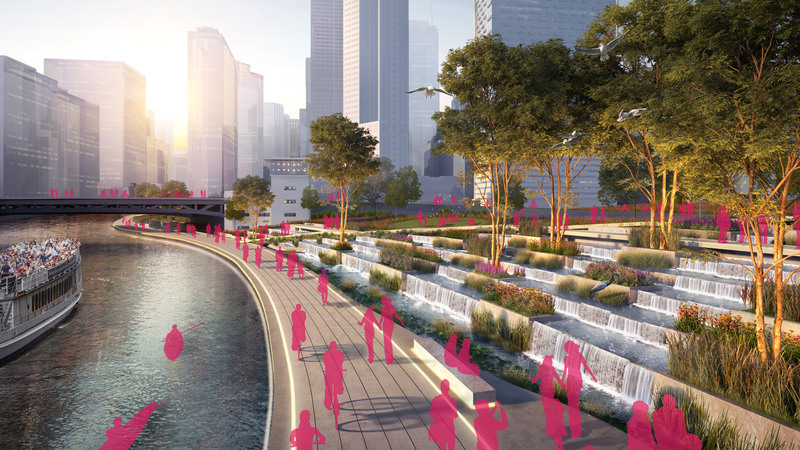 We have contributed to re-imagining the Chicago River as a vibrant public place and continue our efforts today as we design next-generation riverfront districts on both the North and South Branches. Great Lakes Century Vision Plan, Great Lakes Region; India Basin, San Francisco, California; Manhattan West Development, New York, New York; Olympia, Los Angeles, California; Co-Located Chicago Housing Authority and Public Library, Roosevelt Branch, Chicago, Illinois.